This module has all pins on one side, it is very sensitive ( more then others) and looks like is not calibrated at all. Price is 2.27 USD with free shipping. Pins are distributed on both sides and has two pins for power on if you want to use it with 5V and one for 3.3V so it can be used with arduino or esp8266. It is well calibrated and well build. It costs more then the GY-291 with few cents but for my projects is very good. At this time the price is 2.72 USD with free shipping. Most expensive one 17.95 USD shipping not included is well built, and calibrated. Of course for its price you can buy at least 6 modules like this one. At the end top is 2, 3, 1. 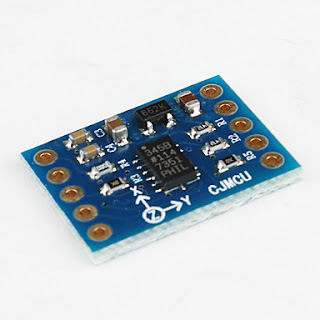 Some code for ESP8266 to play with. float trigger_value = -5; //DEFAULT VALUE ??? // Put the ADXL345 into +/- 2G range by writing the value 0x01 to the DATA_FORMAT register. // Put the ADXL345 into Measurement Mode by writing 0x08 to the POWER_CTL register. For ESP32 info and projects see my ESP32 blog. how to refresh the value of its content every 100 ms on the webpage? You can add the Socket.io in your sketch and send data over websocket directly in your web page without refresh it every time. Also decrease the last line ( delay(100) ) to a small value. can you send me the code for it. This may be obvious, but I am stuck, sorry if this is a stupid question. But what do I do to see the data through the wifi connection? I think I need some URL or port in my browser, but cant find the right example. Thanks for the write-up it has already helped a lot. Btw what accelerometer did you used and how you did your calibration ? You need to send the values to an MQTT broker or send them over websocket or create a RESTfull api and get data from other app. I've did it over MQTT and over websockets and is working fine. Depend on your project and what do you want to di with your data. I got the wifi connection working now, but very unreliable it keeps losing connection and sometimes it cant find it annymore. How: before I could open the serial monitor the part where the ip is shown was scrolled out of view, I changed the delay to 5000 to see the ip. Then I could connect through my laptop to the wifi. 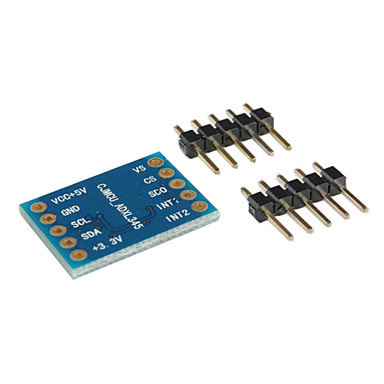 My sensor is an ADXL module, like the one depicted above with pins on two sides but an different (older?) model. I haven’t gotten to calibrating yet. I now have a different problem. the wifi is very unstable, and only works while the usb is connected. It doesnt want to work on 3 AA batteries with a voltage regulator, any tips, or perhaps a link to a tutorial would be much apreciated. Hi i am using module esp-12e ESP8266 Node Mcu with adxl 345.
can i use the above program. i want to measure the x, y, z acceleration . what is the connction with adxl 345. You need to connect the SDA, SCL, VCC and GND. Now depending on what you want to do with ADXL345 you need the interrupt pins. First read the ADXL345 documentation. It is a good point to start with. And the above written code is best one I have ever seen. My advice is to move to ADXL345. The 335 is old, limited to +/-3g and I guess it has analog outputs. 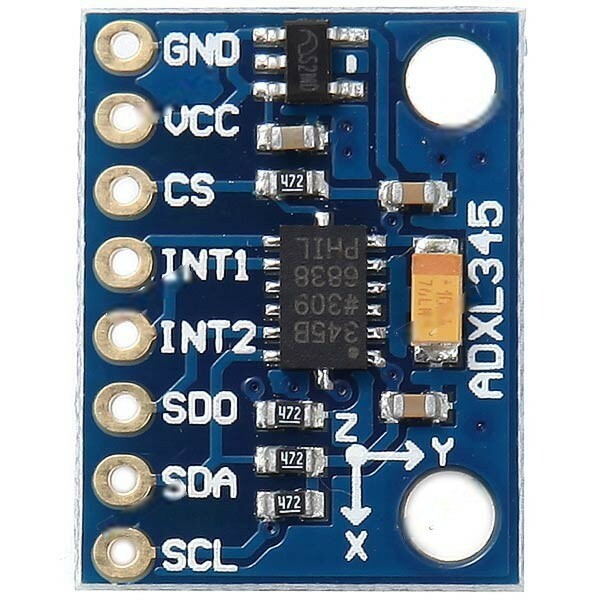 Use ADXL345 since you can connect it direct to the ESP8266 so you don't need Arduino. 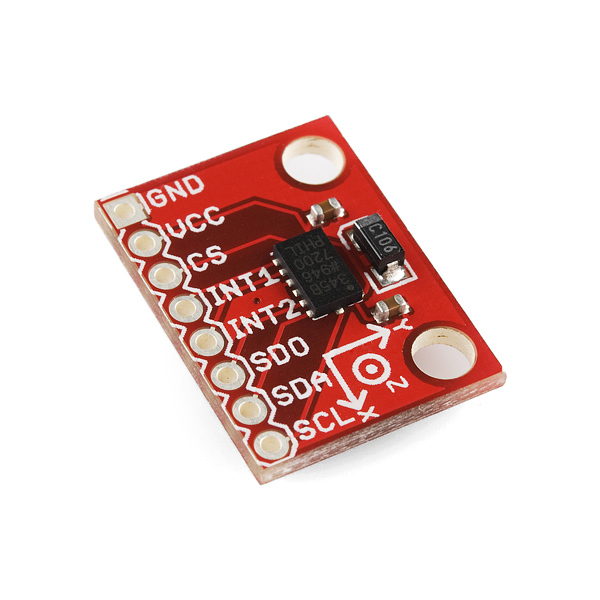 Also has sleep mode, free fall detection and I2C and SPI outputs. This is the code I am using for the modules ADXL 335 & ESP8266 interfacing with arduino mega. I use thing speak server for displaying the analytics. But this code only gives me X & Y output values not Z output. Though I am not good at coding,can you please give a time for correcting my code.